Are you looking to sell your business? Let Sunbelt, one of the largest groups of business intermediaries, and brokers, in the U.S. give you a helping hand. We offer local services to business buyers, and business sellers. At Sunbelt, we can help make selling your business in the Duluth, MN area a snap! If you have a business for sale, then let Sunbelt be the driving force behind your search for the perfect buyer. As the world’s largest business broker, we have access to a large pool of potential buyers. Our plan is simple. We get to know you, and your business, and then take that knowledge and implement it into a marketing plan geared to potential buyers. We make sure the plan is tailored exactly to your business. Our large pool of potential buyers, from all around the world, gives us the ability to match your business with the perfect buyer. 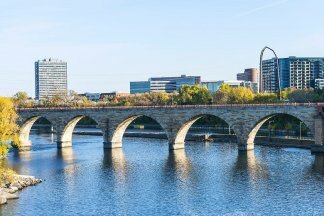 We have business brokers in many Minnesota locations: Duluth, Minneapolis, St. Cloud, and Rochester. Additionally, we have offices in Chicago, Milwaukee, Hudson and Eau Claire. Our reach is international, but our team is always local. At Sunbelt, we can help you sell your business confidentially, quickly, and for the best price. Our fees are success-based. We get paid when you do: at the closing table. There are no hidden costs, or up-front fees at any time. Sunbelt is on your side, and we’re here to help you sell your business in the best way possible. Contact us today for a consultation.